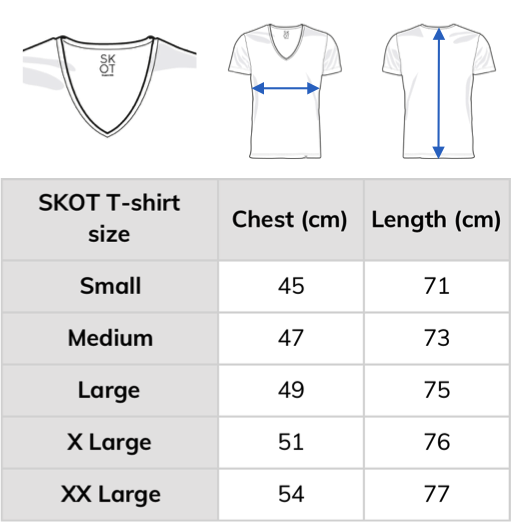 Tips for the long-term use of your SKOT shirt. A SKOT shirt is a piece of art. We want you to enjoy your SKOT shirt as long as possible. Treasure it, it’s worth it. Wear it as often as you like, but remember that washing of fabrics impacts both the environment as the shirt itself. Here’s some tips to minimize the impact. Only use the laundry when the shirt is dirty. When a shirt doesn’t smell as fresh as it should be, you can hang it outside for a while. You can also put the shirt in the freezer! The low temperature kills the bacteria and therefore the smell. Usually it is possible to remove a small stain with a wet cloth. Check your stain guide or search online for instructions. Need to wash the shirt? Only use the required amount of detergent. With the concentrated liquid of today it’s easy to use way more than needed. Use the ECO program for your laundry. Check the care label when you want to use the laundry. Use Seepje washing detergent instead of chemical ones! Don’t use a tumble dryer for shirts. Hang them on a coat hanger outside or in a non-heated room. 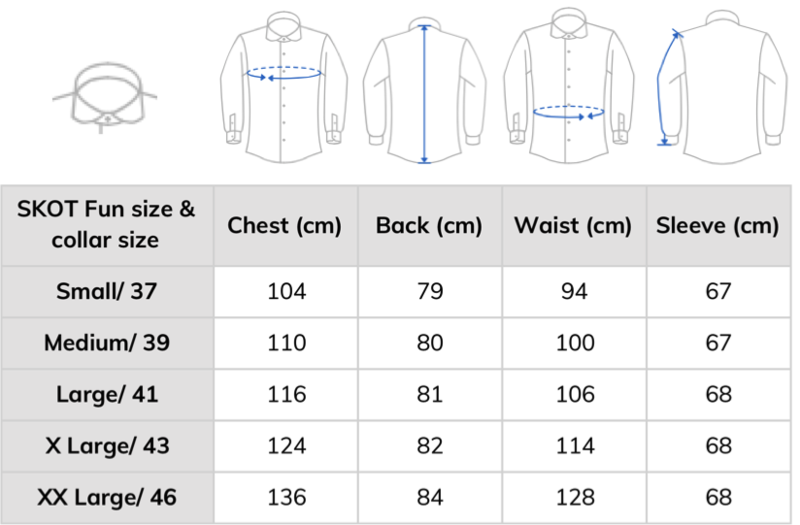 All SKOT shirts use Ascolite button wrapping, which makes it virtually impossible to lose a button. That’s why there’s no spare buttons on your shirt, it would mean a lot of waste. However, if the impossible happens and you lose a button, please contact our customer service and we’re happy to send you some new ones. After your SKOT shirt has lived a long, happy life as your best clothing buddy, a time comes when the shirt is ready for replacement. Don’t throw it away! Send it to us. We’ll give you a 10% discount on your next purchase of a SKOT shirt. We recycle the SKOT shirt and give it a new life.